Originating from India, Masala Chai is one of the most popular black tea blends in the world. This ancient traditional recipe is prepared by blending a strong & robust black tea with an array of fresh & aromatic spices. This signature 'Masala Chai Spiced Tea' is symbolic of the original house blend which has been cherished in India for decades now. A combination of Assam CTC & orthodox leaves blended in a varying ratio is taken as the base. The base tea is then blended with exotic and fresh Indian spices including crushed cardamom, cinnamon, black pepper, long pepper, and clove. Widely distinctive from the Chai tea blends produced in western countries, the original Indian masala chai tea blend stands out due the superior and distinctive properties of spices grown in India. 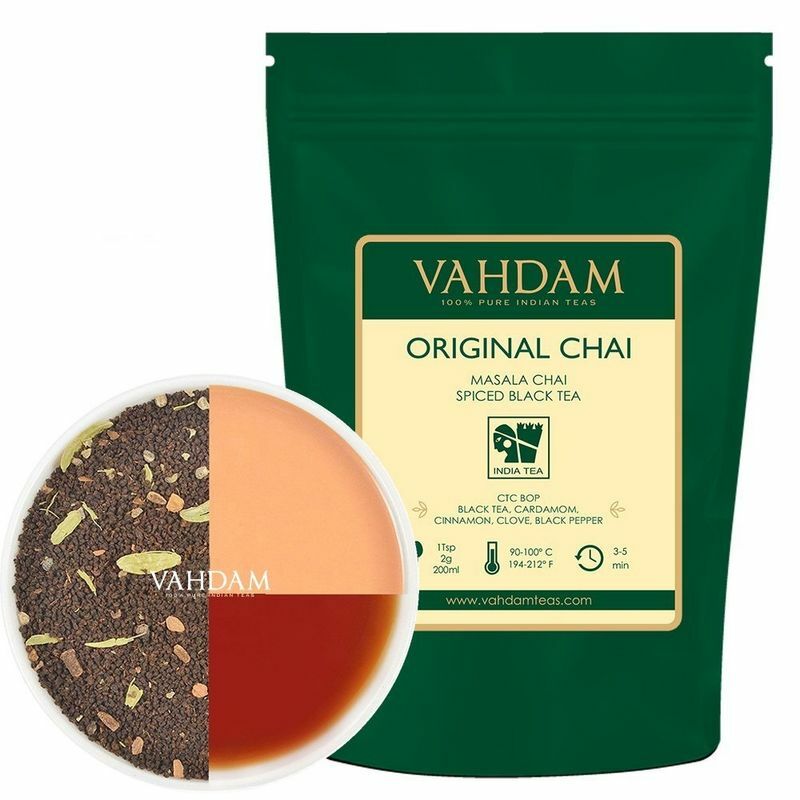 This strong and full-bodied tea is characteristic of a slightly malty flavour with exotic flavour of fresh cardamoms combined with delicate notes of black pepper and clove. Traditionally prepared only with milk, Masala Chai can also be enjoyed and taken without milk. This expertly created blend is not only invigorating and delicious but also stimulates the mind and is known to increase immunity. A must have for all tea lovers. Explore the entire range of Black Tea available on Nykaa. Shop more Vahdam products here.You can browse through the complete world of Vahdam Black Tea .